Millions of Chinese farmers are reaping the benefits of a massive agricultural study, which has helped them increase their crop yields whilst reducing the use of fertilizer. Specific, evidence-based recommendations were made to 21 million Chinese farmers over a decade, offering them detailed advice about which variety of crop to use, exactly the best time to plant, how many seeds to sow and how much fertilizer to use. The detailed guidance led to an increase in the amount of maize, wheat and rice produced, with crop yields increasing at an average of 11%. 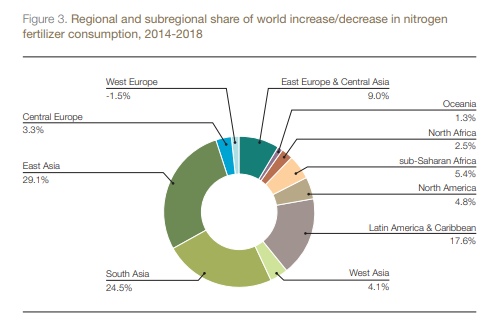 Meanwhile, fertilizer use was reduced by an average of 15% per crop, saving 1.2 million tonnes of nitrogen, according to the study published in Nature. And the combination of greater yields and less fertilizer led to total economic savings of $12.2bn for the farmers. The study is of huge importance to those looking at the future of sustainable agriculture and how the world will produce enough food for the rising population. It also points to the way in which science can improve agriculture. However, it may not be easy to replicate the results elsewhere. The scale of the project was vast and required a significant investment of both manpower and money which would be hard for other developing countries to replicate. The farmers were convinced to change their practices as a result of 14,000 workshops, on-site demonstrations and outreach programmes. This was achieved with the help of more than 1,000 researchers, 65,000 bureaucrats and technicians as well as 140,000 representatives from agriculture businesses. China’s centrally-controlled government is capable of implementing policies across the whole country, unlike many sub-Saharan African countries. “It would clearly have benefits across sub-Saharan Africa, but an approach is needed that crosses borders, organizations and funders,” Leslie Firbank, Professor of Sustainable Agriculture at Leeds University told Nature. The success in China is also partially due to its history of over-use of fertilizers, as it has strived to produce enough food to keep pace with population growth. 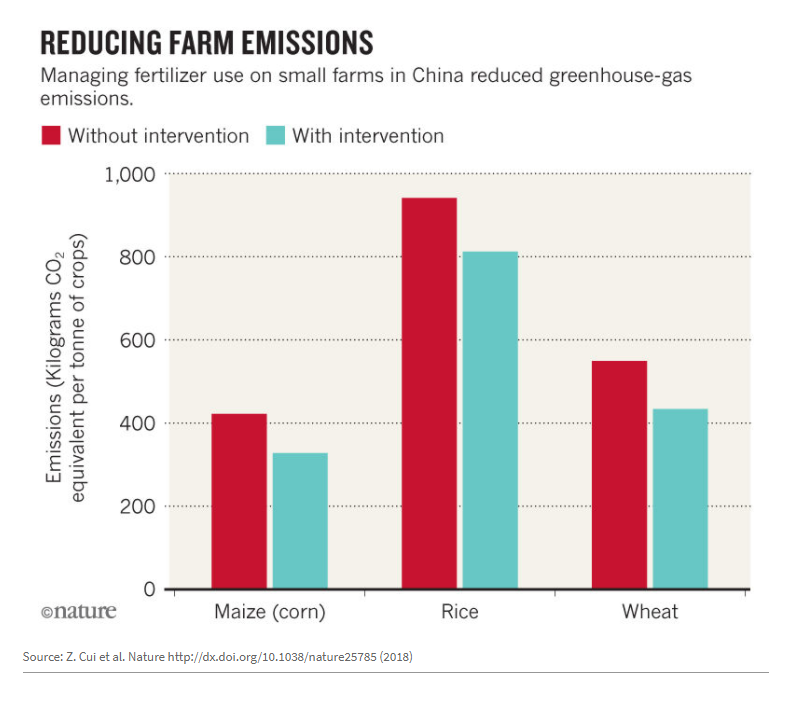 Chinese farmers use an average of 305 kilograms of nitrogen per hectare per year – more than four times the global average. China has been a significant contributor to the world’s increased use of fertilizers, and Asia’s fertilizer consumption has grown faster than any other part of the world. This has serious consequences for the environment as well as for agriculture. Fertilizers such as nitrogen often end up in water sources, and contribute to the acidification of soil. They also cause global warming, causing soil microbes to emit unexpectedly high levels of nitrous oxide. Nitrous oxide is a greenhouse gas with 300 times as much heat-trapping power as carbon dioxide. 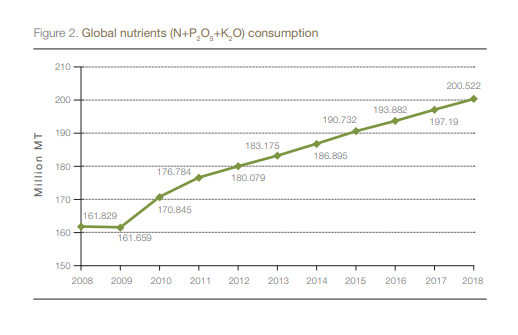 The UN’s Food and Agricultural Organization predicted that global fertilizer use would grow by 1.4% each year between 2014 and 2018, with China accounting for 18% of that growth. The report into the experiment notes that the Chinese farmers needed some convincing about the evidence before changing their normal farming methods. Seeing the increased crop production should now give the Chinese farmers the incentive they need to cut back on fertilizer use. And the wider community can learn from what happens when scientific evidence guides farming practices.